Australia is one of the best countries to apply for a skilled migration visa. It offers high wages to the foreign skilled workers along with advanced infrastructure, livable cities, high standards of living, etc. This is why every young and talented skilled worker today wants to move to Australia to get employed in the top organizations of the world and set up a dynamic career in ‘the luck country’. Apart from offering the incredible work environment, growth opportunities and high wages, Australia also provides one of the best immigration systems in the world to the visa applicants. It has got well-structured and point tested skilled visas to allow skilled immigrants in the country. Let’s explore more about this point tested Australian skilled visas. The skilled visa categories of Australia are well-structured and categorized based on the immigration type. The latest point system was introduced to three of the key skilled visa categories in Australia in 2015, i.e. You must choose a high demand occupation from Skilled Occupation List SOL) or Consolidated Sponsored Occupation List (CSOL) to apply for Australian skilled visas. The Skilled Occupation List is released every year by the government of Australia. It includes the high demand occupations in Australia for which skilled workers can be hired from overseas. The SOL has been designed for the following category of applicants. Applicants of point tested Skilled Nominated Visas. The applicants under this category have the nomination posses the nomination from any state or territory government agency in Australia. Moreover, temporary work visa, i.e. Skilled Regional (Provisional) Visa Subclass 489 (valid for 4 years) also provides pathway to get permanent residency in Australia. 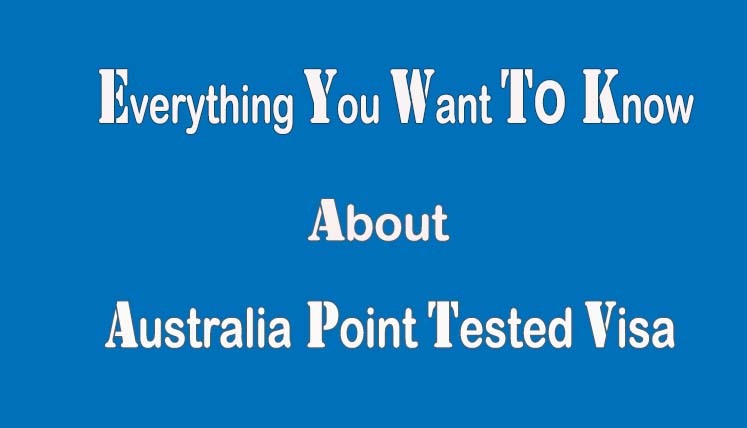 Obtain minimum 60 points in the point test based on age, education, language, etc. Encouraged enough to move to the incredible ‘Kangaroo Land’? So, get in touch with a registered Visa and Immigration Consultancy Service for Australia to discuss your immigration plan, know about the relevant visa, and subsequently apply for the same. What are the other pathways to get Canadian PR Apart from Express Entry and PNPs?